The Chinese government has decided to appoint as distinguished professor at Fudan>Fudan University’s School of International Relations and Public Affairs in its 1000 talent scholar programme. This prestigious scholarship adds more distinction to his current position of adjunct professor at Fudan University. The 1000 Talent Plan of Foreign Experts, also known as the National Recruitment Program of Global Experts, is a scheme set up by the Chinese government to encourage high-end foreign talent to relocate to China to work on long-term or short-term programs across the country, in management or research positions.The scheme particularly focuses on the hiring of individual experts who are strategic scientists or leading experts in science and technology. The plan started in 2011 and aims to recruit 1,000 leading foreign talents to China by 2021, with quotas of 50-100 people each year. 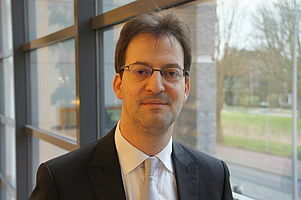 Martin will be spending 3 months a year at Fudan to conduct research and teach on topics strongly related to those that also characterise him in Delft, i.e. urban and infrastructure development in China, decision-making and cross-cultural management.